Watch full Naruto Shippuden Season 20 Episode 20 English Dubbed full HD online. Naruto Shippuden Episode 433 English Dubbed online for free in HD. Inside the Infinite Tsukuyomi, Tsunade carries on reading Jiraiya’s latest work. A concerned Minato interviews the injured genin, who can only remember Ageha butterflies, and discusses this finding with Tsunade. 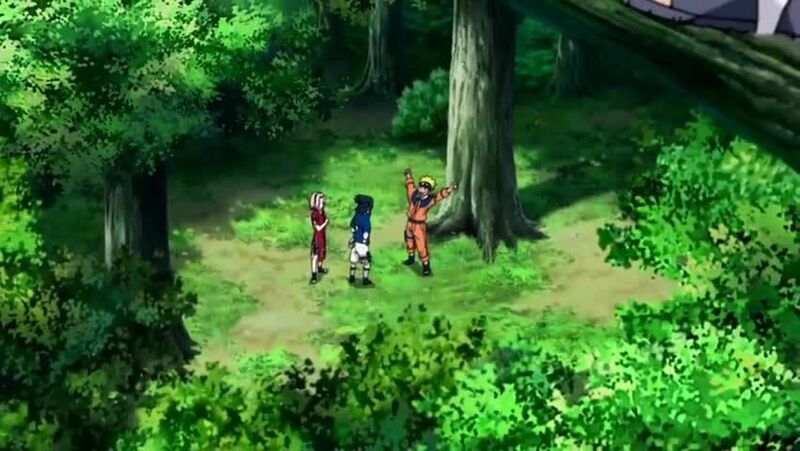 Minato provides the details of the mission to the four Leaf teams, instructing them not to attempt to rescue the missing shinobi should they be found, and instead contact Konoha immediately. Shikamaru instantly understands that as they are being given this mission because more experienced shinobi seem to be the ones targeted. Team 7 stops for a moment, noticing the Ageha butterflies, Naruto goes off chasing them, followed by Sasuke, intent on bringing him back. Elsewhere, a mystery man performs a jutsu that targets the jÅnin leaders, dragging them underground. At the sites of their disappearances, the Flying Raijin Kunai given to them by Minato. Just before Guy’s disappearance, Neji detects an underground chakra flow, that vanishes after Guy is taken. Shikamaru deduces that what happened to their team also happened to others, and decides to wait for Team 8 to reach them, as they are the best trackers, before deciding on a plan. Team 7 is intercepted by Hidan while looking for Team 8. Hidan wounds Naruto, managing to acquire his blood, and proceeds to curse and injure him. Team 10 is attacked by Yahiko, Konan, and Nagato.